* No form of compensation took place. This is for an iPad Air. Anyone that has a tablet knows that typing on them is a bit of an adjustment as it's not like a keyboard obviously. For those with bigger fingers or a medical condition, it can be harder to type as well. 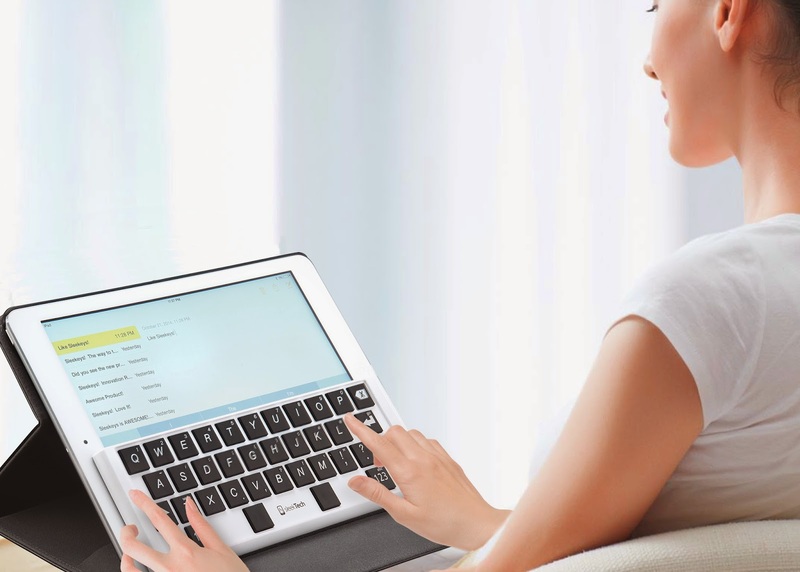 A new type of keyboard called the SleeKeys keyboard for iPad Air and Air2 is a possible solution for many. Not only is it thin and lightweight but you just flip the keyboard to use! 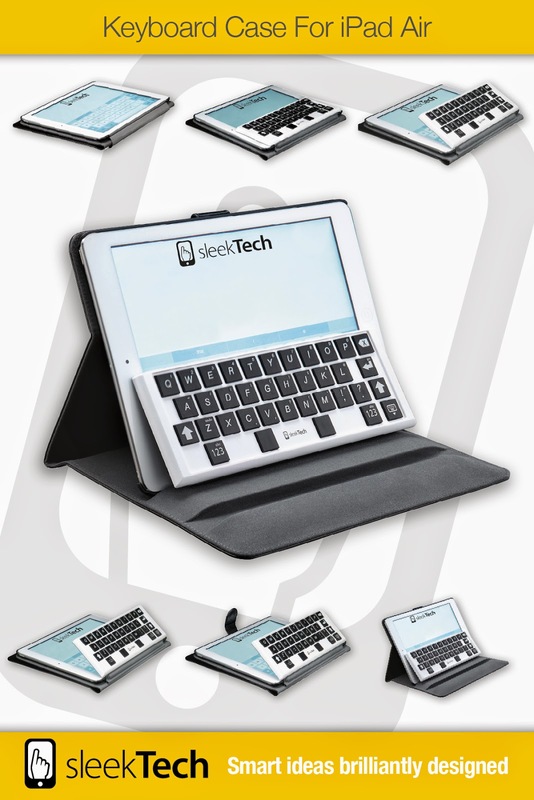 The keyboards available will work with the iPad Air or Air2 and remember, no batteries or wires making it easy to take on the go. The patent-pending typing solution of having an integrated physical keyboard is a novel idea eliminating losing parts or having to lug around more. It all fits into the normal case that you are use to. 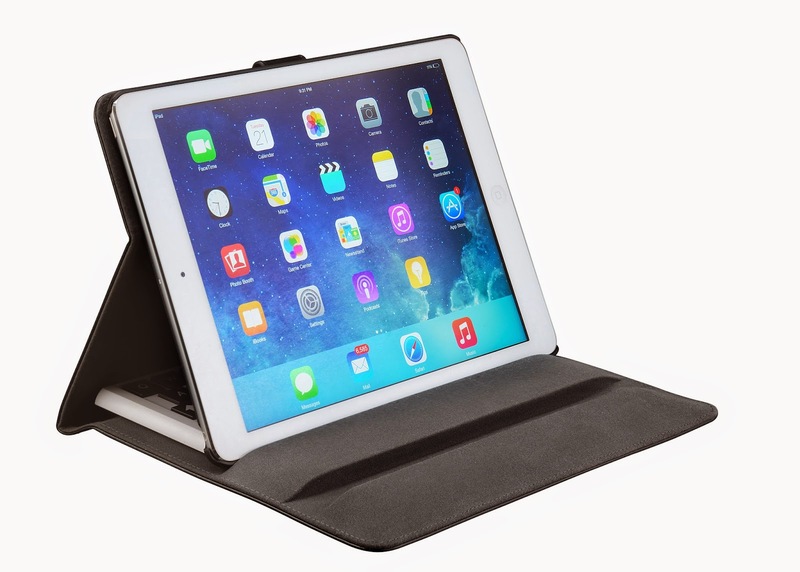 It will work with all major carriers and it will not scratch your iPad Air screen. The cover will not hinder the ability to charge the device either and it's priced at only $59.95! You can enter for a chance to win either a keyboard for your iPad Air or Air3 for yourself but if you don't want to wait, head over to SleekTech to buy one now! 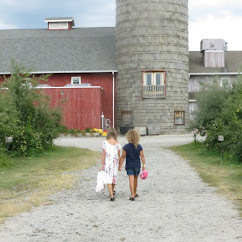 I love that it is slim and takes no electricity! How awesome. I like the multiple positions that you can use this with. I like that the SleeKeys doesn't have any cables or batteries. I like that SleeKeys can be positioned into three different angles, allowing users to custom design it to their style and comfort. The multi adjustability? is what drew me to read the product description, that you don't need electrity is what kept my interest. I like the many typing positions available. I love that SleeKeys can be positioned into three different angles. That would help with productivity! I like that you don't have to worry about wires or batteries.